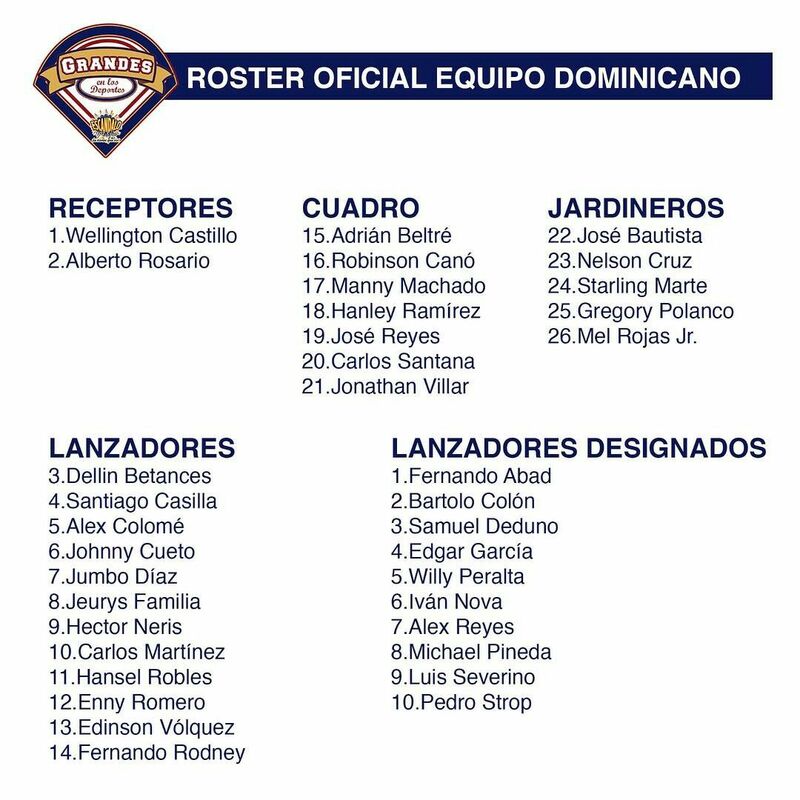 Earlier today, the Dominican Republic announced their official roster for the upcoming 2017 World Baseball Classic. As expected, Dellin Betances is on the roster while Gary Sanchez is not. Here’s the roster. Robinson Cano at second, Manny Machado at short, and Adrian Beltre at third is one heck of an infield, eh? Tony Pena has a fun roster to manage. Both Michael Pineda and Luis Severino are included in the team’s “Designated Pitcher Pool,” which is a new wrinkle in the WBC. Each team will designate ten pitchers who can be added to the roster later in the tournament. They’re allowed to add two pitchers at the end of the first round and another two at the end of the second round. So up to four of the ten extra pitchers can join the roster. The Designated Pitcher Pool is a pretty blatant attempt by MLB and the WBC folks to get Clayton Kershaw to commit to Team USA. The Championship Game is at Dodger Stadium on March 22nd, and if Team USA advances, they want Kershaw on the mound because it’ll create serious buzz. The rule allows Kershaw to remain with the Dodgers in Spring Training and make the one start for Team USA. The Dominican Republic won the 2013 WBC, and, based on their roster, they’re going to contend for a title again this year. They’re in a first round pool with Canada, Colombia, and Team USA. Pineda’s rotation spot with the Yankees is secure, but Severino has to win one in camp. I wonder if he’d decline to be added to the WBC roster should the Dominican Republic ask him to join the team. We’ll see.